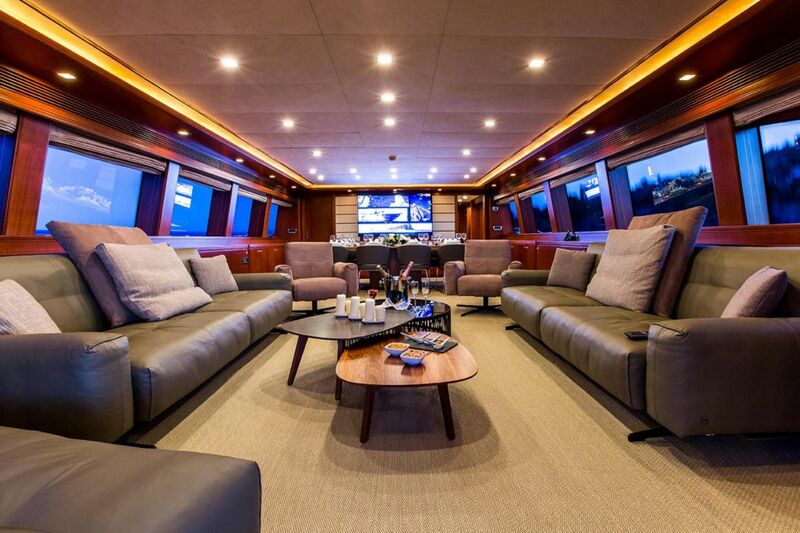 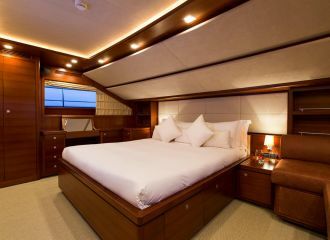 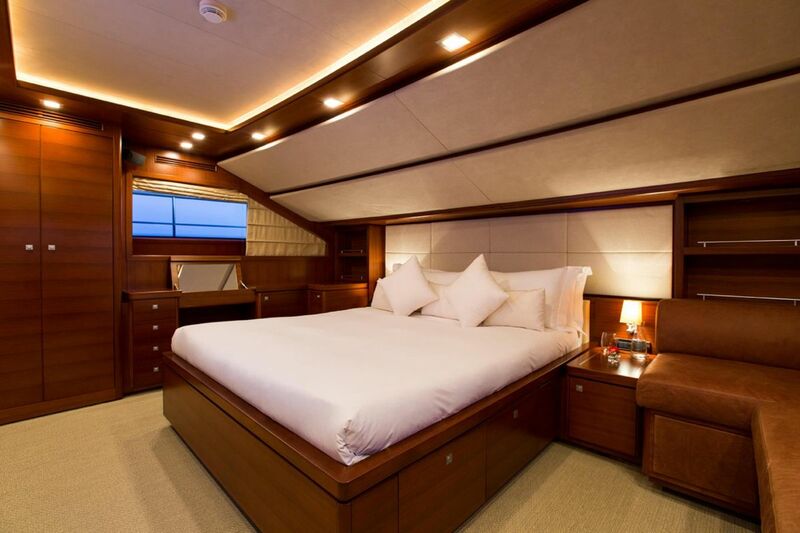 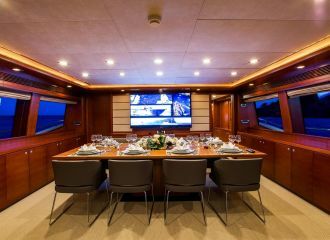 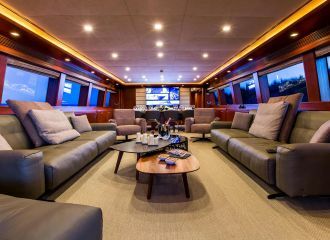 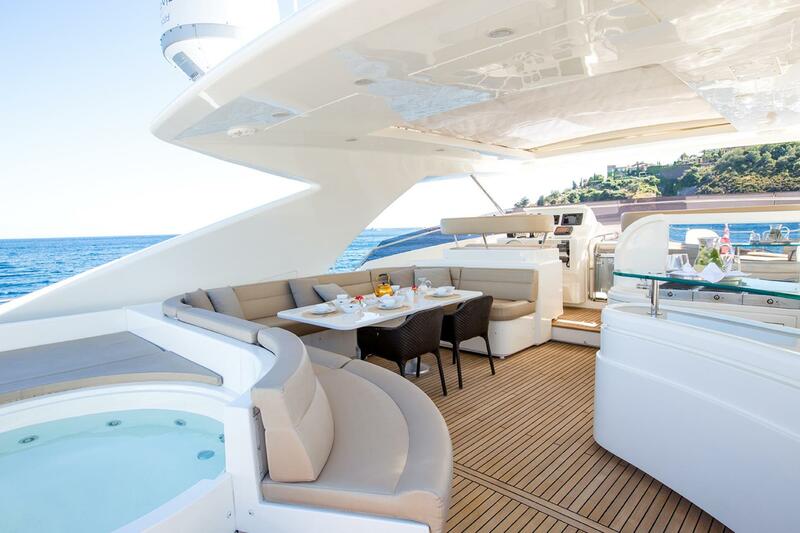 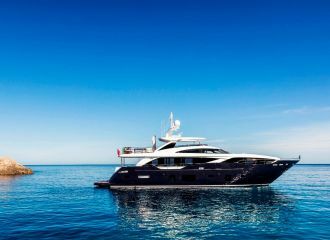 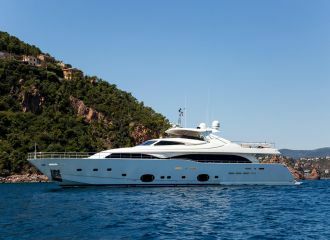 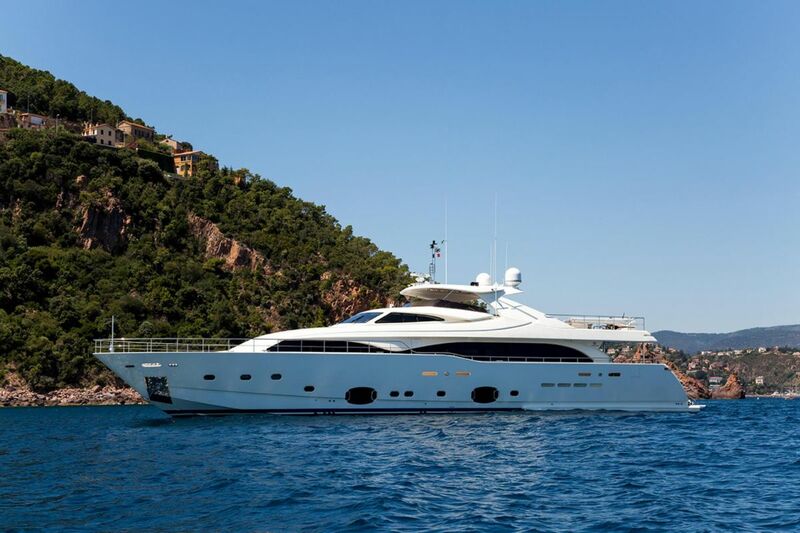 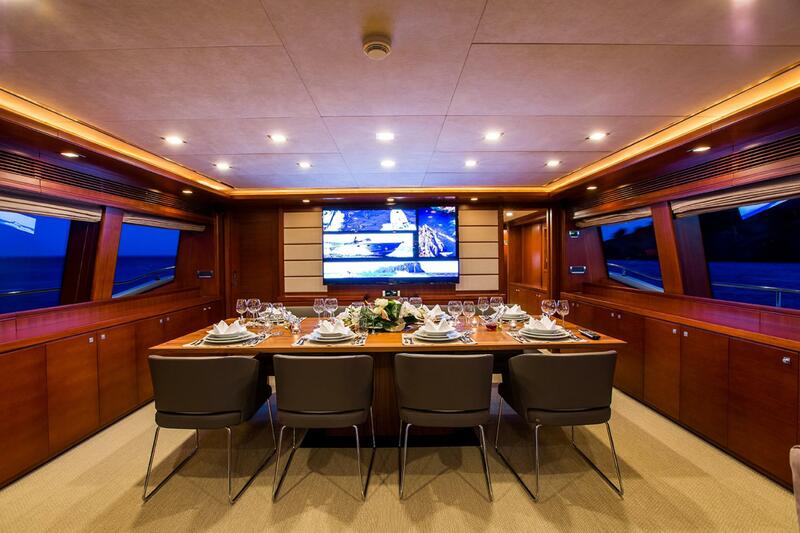 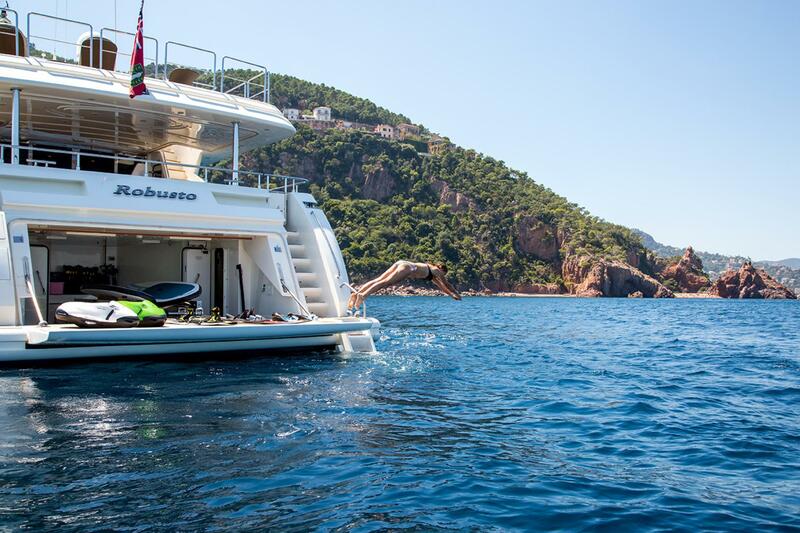 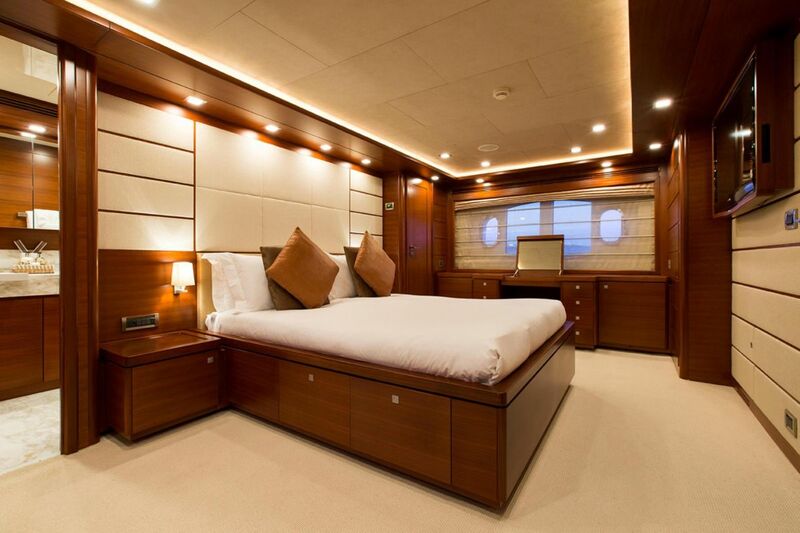 This Ferretti 112 yacht offers generous living areas, perfect for a yacht rental in Italy. The aft deck boasts an enjoyable alfresco dining table as well as stairs leading to an extended swim platform. 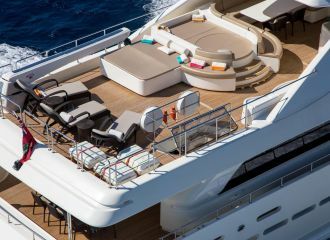 The expansive flybridge features a jacuzzi, large sunpads, a bar with a BBQ station, a seating and a dining area. 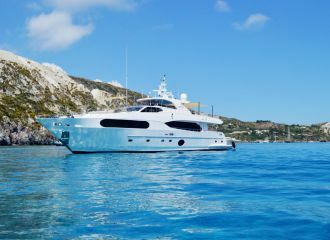 No doubt the favourite spot for many charterers! 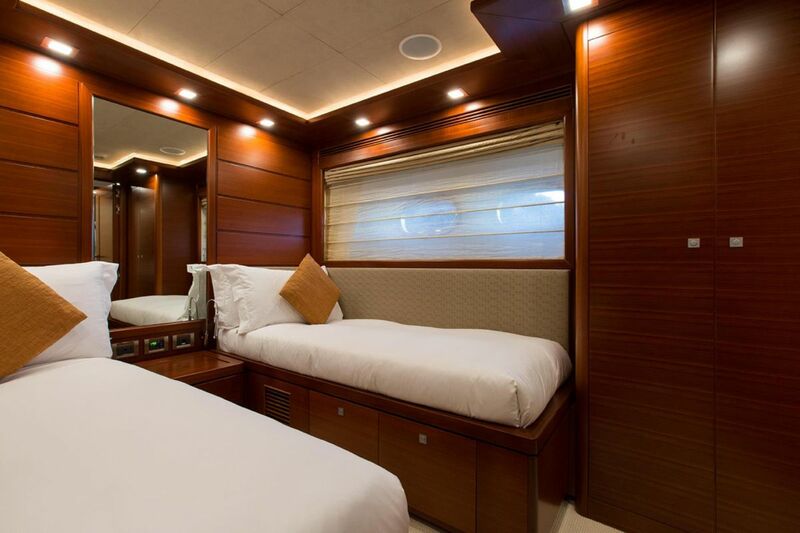 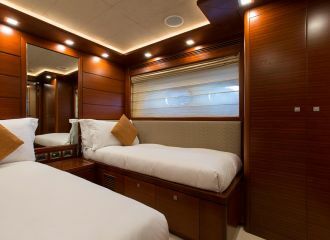 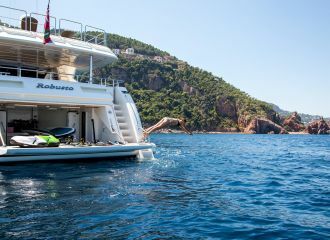 This Ferretti 112 yacht provides accommodation for up to 12 guests in 5 cabins: 3 double, 1 twin and 1 convertible which can be set up either as double or as twin. 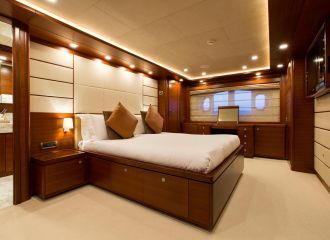 There are two additional Pullman berths for two extra guests. 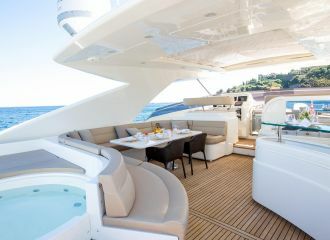 total 13333	€ Excluding VAT and APA ?